How to Crate Artwork for International Shipping? From choosing the most reliable mode of transport to packing and crating your precious possessions, fine art handling has proven to be a big chore. Moreover, even if you do everything in a proper way, the safe travel of your artwork is still difficult to guarantee. For this reason, it is so important to hire experienced shippers of fine art able to professionally pack and crate artwork for its further international transportation. Fine Art Shippers will be happy to do this job for you at any time you need help! 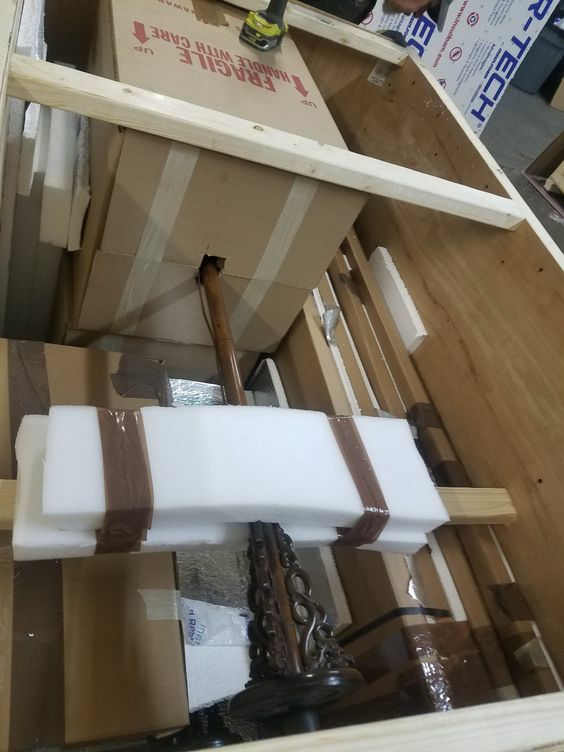 Whether it comes to your family heirlooms, sculptures, paintings, furniture pieces, or antiques, Fine Art Shippers can crate artwork of any size, shape, and weight. No job is too big or too small for our team of art shippers, and we welcome any opportunity to assist auction houses, galleries, museums, and private collectors with choosing the best packaging solution to meet their needs. Furthermore, we completely understand how important it is to keep our clients’ valuable and, in most cases, irreplaceable belongings safe and secure during the whole process of transportation and, therefore, always treat every item with the attention and care it deserves. Fine Art Shippers knows how to crate artwork of any type and ensure it is delivered to the destination in perfect condition! To properly crate artwork is of utmost importance, especially for international shipping when there is a possibility of multiple persons, agencies, and airlines handling the package and even, at some point, opening it up for inspection. The artwork should be packed in such a way that, if opened by the Customs officer, it is visible and easy to check while remaining undisturbed and protected from any kind of damage. In the photo below you can see how to properly crate artwork for its safe international transportation. 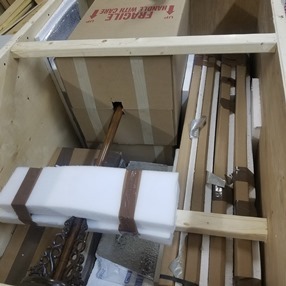 This particular wooden crate with protective beams inside and foam insulation was built by our team for shipping a valuable piece of art to Hong Kong. Whether you have a one-time shipment or a large project move, Fine Art Shippers is the right choice to come for help! We can crate artwork for you quickly and professionally, and we can do it even within a single day. Just let us know about your requirements, and we will take care of all the rest!